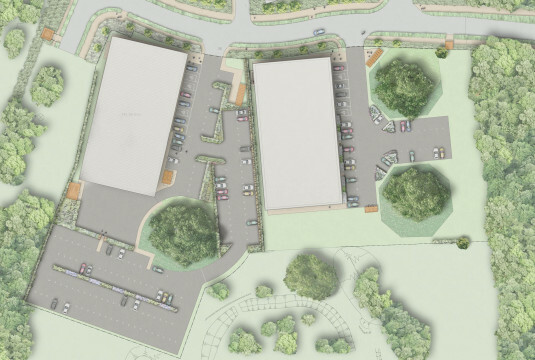 We were appointed as landscape architects by a developer client on Plots K and L at Chelmsford Business Park, to the north east of Chelmsford town centre. 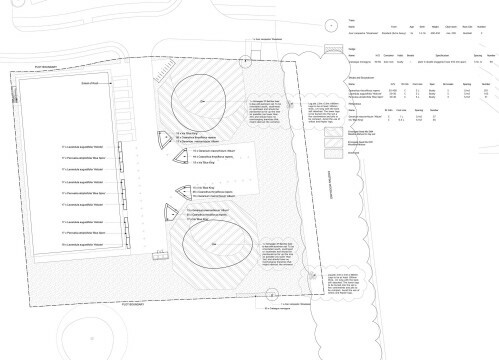 Our brief was to develop a landscape design to the satisfaction of the design team and client. 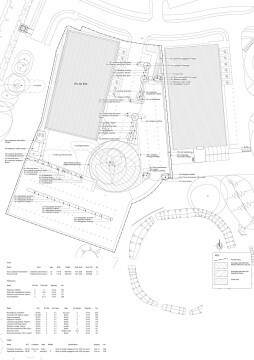 Once approved, we proceeded to develop a pack of landscape architect ‘s information for a detailed Planning submissions, this was followed by landscape architect’s information to discharge Conditions. Finally, we were tasked with the preparation of tender information for the soft landscape element of works. These two plots were developed independently and treated as individual projects for the duration of our appointment. These two plots are directly adjacent to an archaeological site to their south. There is an exiting TPO woodland to their east and a number of individual TPO trees on plots (two on plot K and one on Plot L). Careful consideration was given to the landscape design by our landscape architects to the on plot kerb and paving alignments. It was important that minimal root damage was caused to the on plot TPO trees. The Local Authorities landscape architect and tree officer was required to sign off our proposals prior to construction taking place. Our landscape architects carefully selected plant palette to give the planted scheme the best chance of survival. Plants were chosen that were less palatable to rabbits as there was a significant presence on site. In addition it was required that they provide all year round visual interest. Finally, our landscape architects were required to work closely with the appointed ecologist to enable our client to achieve the desired BREEAM outcome. BREEAM dictated that our plant specification had a significant portion of native species and a number of bird and bat boxes needed to be accommodated within our final proposals.